We’re huge fans of Desert Island Discs at PS Programmes and, to celebrate the 75th Anniversary of the iconic show in 2017, I have been casting away a different member of my team each week to the far-flung shores of the BBC’s mythical desert island, never to be seen again. Well, at least not until our next team meeting. In previous posts I have cast away Denise Fryer, Ross Edmonds, Rasheed Ogunlaru, Tom York, and Ian Hawkins – and I’m pleased to say they have all since been rescued. Before I introduce my final cast away – a recap for anyone not familiar with the Desert Island Discs format. In each episode of the BBC Radio 4 show a guest is invited to choose eight recordings they would most like take with them if they were to find themselves stranded on a desert island. Guests are also given the Complete Works of Shakespeare and either the Bible or another religious or philosophical work. They are then invited to select a third book and one luxury item to take with them. That’s right, it’s my turn at last. So, here’s a little bit about me – I founded PS Programmes in 2007, I am Media Director at the company, delivering bespoke media training, crisis media management training and presentation skills coaching individuals and organisations in UK and internationally and across many industry sectors. I am also a broadcaster, interviewer and international conference chair with a 25 year career background presenting for CNN, Simply Money, BBC, Sky TV, SABC and Summit TV. As London Markets Correspondent for the Financial Times and Summit TV, I was awarded ‘Financial Journalist of the Year’. David Bowie was the soundtrack to my youth, and my brother and I really connected with him and what he stood for. He was a wonderful trailblazing figure that inspired us to be creative and be ourselves. Quicksand and Five Years were hot contenders for this slot, although Wild is the Wind from the album Station to Station is the perfect love song. I like Johnny Mathis’ and Nina Simone’s recordings of this song too, but Bowie knows how to tug on the heartstrings and it’s his interpretation of the lyrics… ‘For my love is like the wind and wild is the wind’ that expresses pure emotion. With Ian McCulloch on vocals and the sublime Will Sergeant on guitars, Echo and the Bunnymen never cease to enthrall me and are a constant in my life. I try and see them live whenever I can. I discovered them at the age of 13 when their debut album, Crocodiles came out in 1980, and nearly four decades later, their gig in Oxford last year was one of their best performances I have ever witnessed. I never tire of listening to No Dark Things from the album Heaven Up Here. My children were a product of the band as well – no, Macca is not responsible and I won’t be claiming child maintenance from him(!) – however, I met my children’s father at an Echo and the Bunnymen gig nearly 20 years ago – so without them, Emily and James would not be here. I am a huge fan of ballet, musical theatre, and opera and I once read a quote from Lord Andrew Lloyd Webber which said that he thought West Side Story was the best piece of musical theatre ever written. So if it’s good enough for Lord Andrew, then it’s good enough for me. With a nod to Shakespeare’s Romeo and Juliet, I think it’s the perfect fusion of opera and musical theatre, which became Leonard Bernstein’s iconic signature, not forgetting lyrics by Stephen Sondheim. The five parts of the Tonight Quintet are sung by the Jets, the Sharks, Tony, Maria, and Anita, and the song begins with the parts sung in turn, and then overlapping and building to the final line, ‘Tonight,’ sung by the ensemble with multiple harmonies. I love the way their lines intertwine, pulling the whole musical together. My talents for ballet lie in watching the professionals, rather than performing, as I discovered to my horror when I fell off the stage at the tender age of five dressed as a lamb (don’t ask). I managed to disassemble a drum kit in the process – no injuries sustained but hilarity in the audience ensued. My Russian father was temporarily dismayed for 5 minutes, with his hopes of me becoming a Prima Ballerina smashed to pieces. I may have hung up my ballet shoes at an early age, but my love for this dance form and music continues to grow and grow, and it’s the Rose Adagio, which I love to listen to because I know it’s the true test of a great ballerina. In Sleeping Beauty the young princess Aurora arrives at court and is presented to four suitors who give her roses (hence the song’s name) as they dance with her and hope to win her affection. The choreography is difficult technically as Aurora becomes more comfortable with the suitors. The biggest challenge is the series of promenades, when the suitor holds one of Aurora’s hands and walks around her in a circle, as she holds her position, turning like a figurine in a jewellery box. I so wanted to be Debbie Harry when I was younger. If you look up the word ‘cool’ in the dictionary, it will say the words ‘Blondie’ and ‘Debbie Harry’ underneath – or at least it should! Atomic delivers one of the greatest pop vocals ever, which stands the test of time because listening to it, the song’s post-apocalyptic feel still sounds as immense, fresh and searing as it did when it was first released in 1979. Heart of Glass and Dreaming were hot contenders too, but Atomic soars and soars. I love the surges of synth under the verses, explosive drum fills and it’s great to dance to at a party. Aside from Echo and the Bunnymen and Starsailor (I wanted to include them too), the rock band James are just the complete article and, again, there are many tracks of theirs to choose from, including Getting Away With It, Laid and Born of Frustration. But the one track for me (I’d like it played at my funeral) is Waltzing Along. The way the legendary Tim Booth sings, ‘May your mind be wide open, may your heart beat strong,’ takes me to a place no other song ever has. I regard myself as a spontaneous person and, with little time to think (juggling life and work), this song from the brilliant album Whiplash (you can tell Brain Eno’s involved) brings out my (quite rare) philosophical side, which allows me to connect with planet earth on a more spiritual level. The film Carousel contains some of Rodgers and Hammerstein’s most beautiful songs, and I have chosen You’ll Never Walk Alone, because it still makes the spine tingle and the tears fall. I know it is heavily associated with Liverpool FC, and although they are technically my second team with QPR taking the top spot, my love for this song is not connected to football in any way. Although, I can see why fans like it because it’s an anthem of triumph over adversity. My brother Nick played the lead, Billy Bigelow, in the school production of Carousel, and the song reminds me of my immediate family watching this all together, with a shared sense of purpose and unity. ‘Walk on, walk on, with hope in your hearts. And you’ll never walk alone. You’ll never walk alone.’ Beautiful, moving and poignant. I would have to choose James – Waltzing Along. 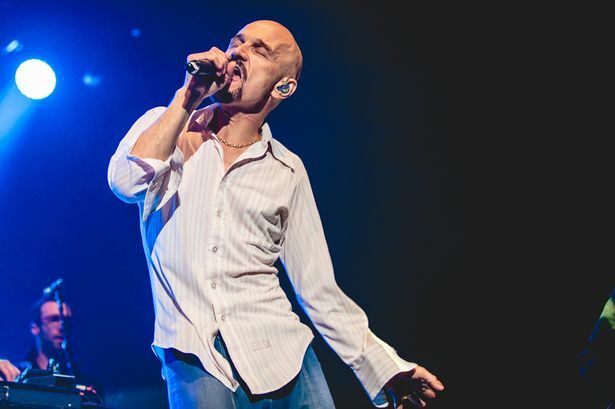 With Tim Booth’s snake hips, the band always commit to their performances and I feel they are one of the most enduring and underrated bands. I would relish listening to this song repeatedly while reflecting on all the James gigs I have seen and the friends I have shared their music with. In addition to the Complete Works of Shakespeare, Nadine would take The Things You Can See Only When You Slow Down: How to be Calm and Mindful in a Fast-Paced World by Haemin Sunim. The back cover says it all …simple, compassionate teachings transcend religion, borders and ages, and serve as a calming reminder of the strength and joy that come from slowing down. The world moves fast, but that doesn’t mean we have to…and would make me feel better about being stranded on a desert island! Nadine’s third book would be The Complete Works of Jane Austen. The seven books contain some of the most brilliant, astounding text in the English language. Jane Austen was gifted at observing society, and her books are timeless pieces of literature. Nadine’s luxury item would be a queen size bed with an integrated teasmade. This would hopefully prevent me from being bitten by sand flies and allow me to continue enjoying the best drink in the world. Nadine Dereza is an accomplished broadcaster, interviewer and international conference chair with a career background presenting for CNN, Simply Money, BBC, Sky TV, SABC and Summit TV. As London Markets Correspondent for the Financial Times and Summit TV, she was awarded ‘Financial Journalist of the Year’. 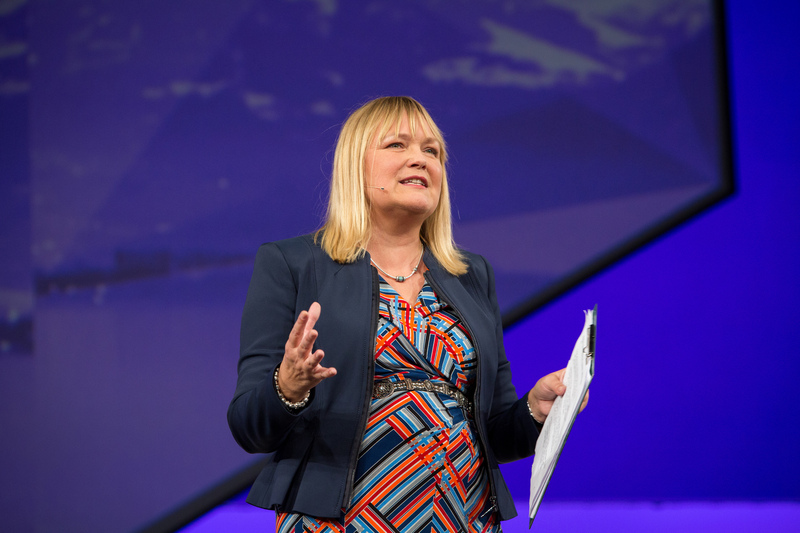 Nadine chairs conferences and live events across the globe for a diverse range of clients across many industry sectors. She also runs PS Programmes, which delivers bespoke media training, crisis media management and presentation skills coaching to companies in UK and internationally across many industry sectors. Nadine’s experiences in a career spanning 25 years inspired her to write the best-selling book, Insider Secrets of Public Speaking, with her PS Programmes colleague, Ian Hawkins, who is an award-winning public speaker, author and coach.